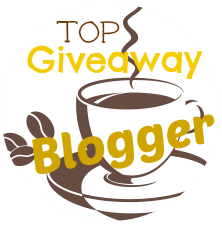 Welcome to the Zoë b Organic Yum & Fun Giveaway! 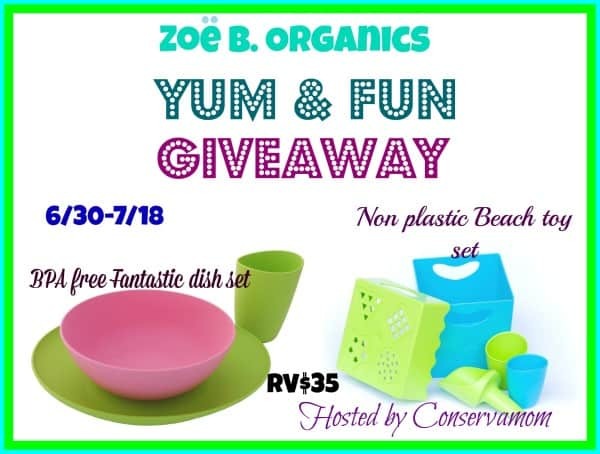 Hosted by Conservamom This fun giveaway features two of Zoë b Organic most popular products the bpa free fantastic dish set and the Plastic free Beach toys. 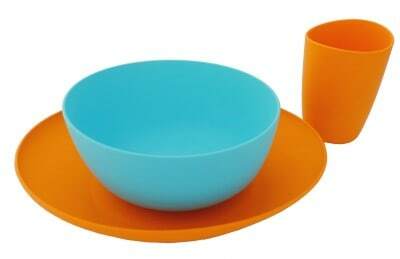 These two sets are a fun and easy way to teach your children about living an eco friendlier life style. 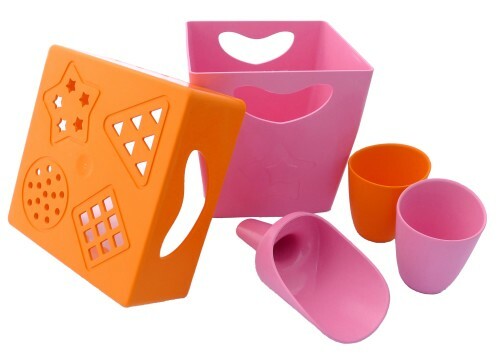 This fun set of beach toys is not only made of corn base as well, but it is safe on our sea life in case it gets washed out. Plastic causes so much death to our ocean life and with this fun set your kids will have tons of fun with a safe product for our sea life. My girls absolutely love the beach. The more toys they have to play in the sand, the better. They love to scoop, dip, build and dig. They would love a set like this! To find out more about these products check out Conservamom's review.